Wilt Chamberlain a.k.a. the Big Dipper is one of the few legends of the game that we’ve only ever heard about. Considering he retired before most of us were born, we obviously missed a chance to witness his games. However, this Hall of Famer has earned fame both on and off the court. He is famous for having a 100 point game; which is still an unbroken record. His off-court record for a certain statistic was exponentially higher. He played for three huge NBA teams during his career and wore the number 13 throughout. 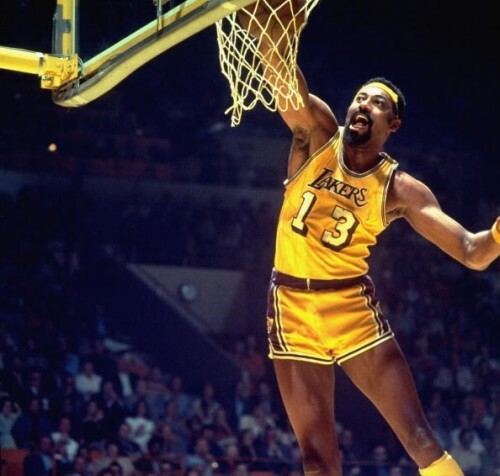 His contribution to all three franchises (San Francisco Warriors, Philadelphia 76ers and Los Angeles Lakers) was so huge that they all retired the number 13 in Chamberlain’s honor. The 13 time All-Star once said that the number 13 wasn’t unlucky for him; it was unlucky for his opponents. 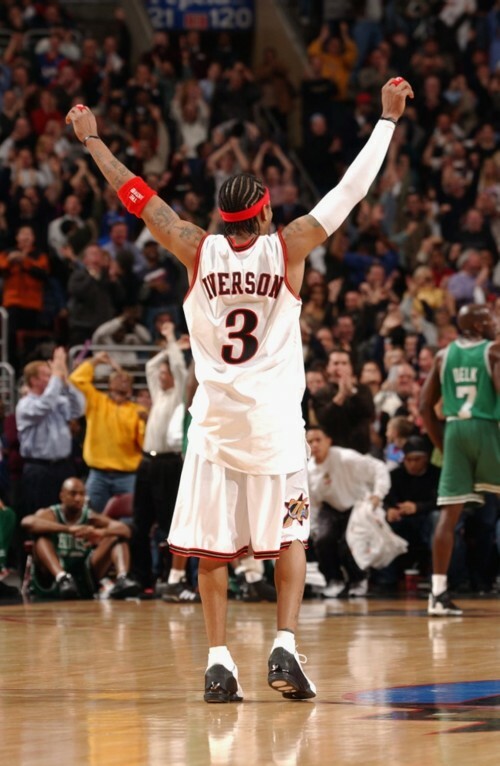 With arguably the best handles in the game, AIlen Iverson was the perfect combination of street and skill. He would embarrass you, break your ankles and leave you puzzled but even when you were down on the floor, you couldn’t help respect him. The 11 time All-Star officially retired in 2013 after which his #3 was retired by the Philadelphia 76ers. The endorsements with sports giant Reebok helped him make his personalized I3 shoes which showed the importance his jersey number really had. He is and probably will always be the greatest player to sport the #3. Earvin ‘Magic’ Johnson will always be in the debate of the top five players to ever play the game. Largely known for his legendary rival and fellow Hall of Famer Larry Bird, Johnson played his entire 13-year career with the Los Angeles Lakers. His #32 was retired by the Lakers in 1992. 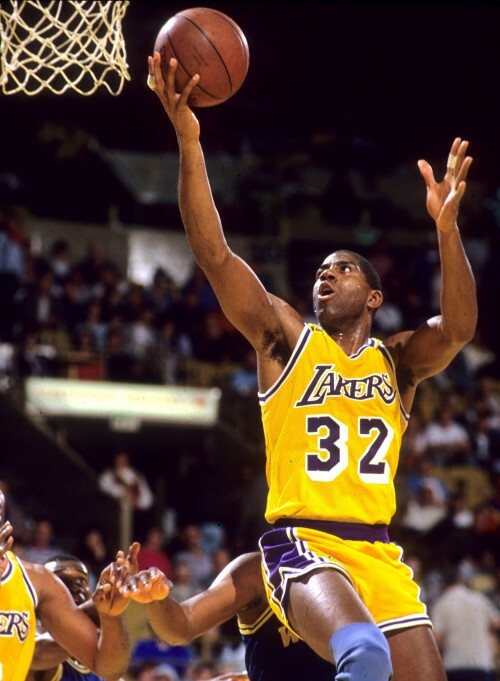 Magic was in a bit of a pickle when he entered the NBA with the Los Angeles Lakers because his #33 (the number he wore in college) was already worn by Kareem Abdul-Jabbar. Magic then decided to pick the closest number he could find. 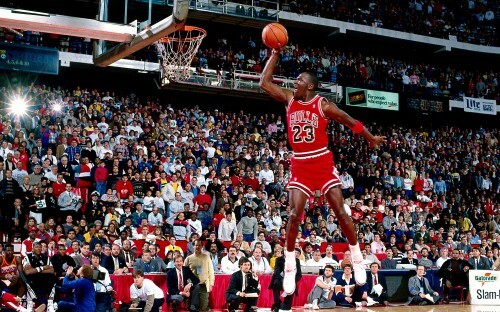 Little did he know that his #32 would go on to become one of the most iconic jersey numbers of all time. He even went on to use his number when he founded his record label called ‘Magic 32 records’. Many younger players often choose their jersey numbers while idolizing their favorite player and his number. Among many others, Blake Griffin often admits that he was a fan of Magic when he grew up and that’s the reason he chose #32. How’s that for legacy? The Black Mamba didn’t always sport a 24 on his purple & gold. 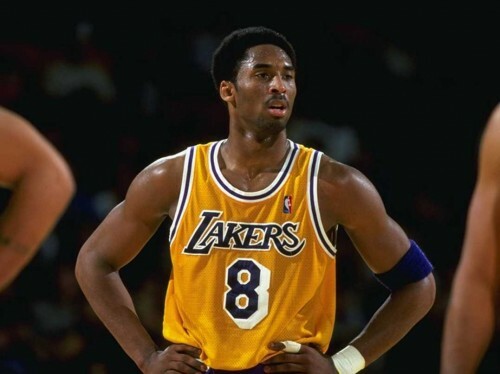 He wore the #8 when he first entered the NBA and showed what an eighteen year old could do among legends. It was the number he wore during his childhood in Italy. His number change to #24 in 2006 was one of the hottest conversation topics wherein people came up with their own interesting theories to explain it. Kobe however, mentioned that he has gratitude for the speed at which he excelled at the sport and now he wants to value and appreciate every day and all 24 hours in it. Kobe has been an All-star 17 times in his 19 year (and still continuing) NBA career. If his career was to be divided into two parts, one with #8 and one with #24, one could see that he rose to success in the first and then formed his legacy in the second. Since Kobe’s ‘never quit’ attitude doesn’t allow him to retire, his numbers haven’t been retired and he hasn’t entered the Hall of Fame. But looking at how Kobe’s career went, there is no doubt that both those honors will be given to him once he retires. The question is what number will the Lakers retire in his honor? 8? 24? Or both? #23 is probably the most recognizable sports jersey number out there and the sole person responsible for that is a player called Michael Jeffrey Jordan. Growing up, MJ and his elder brother loved the number 45. Ideally, they both wanted to pick that number for their jersey, but his brother got it in school since he was elder. Young Michael split the number in half and made his jersey #23, which just stuck and worked for him. Jordan’s Bulls jersey is arguably the most famous NBA jersey and still one of the fastest taken numbers by young basketball players worldwide. A few kids among them were LeBron James and Anthony Davis. Looks like things worked out for them.